SEO agencies, web masters, site owners – today SEO analysis tools are prerequisites for successfully functioning websites and ROI. The only question is, which SEO analysis tool do you need? The answer is a variety of tools. No one SEO audit tool will do everything you need for a site. There are so many aspects in such different directions that it doesn’t make sense nor is it possible to create an all-in-one program. On the contrary, successful SEO is related to deep analysis on all fronts. The most popular SEO analysis tool is the Google Keyword Tool, now known as the Google Keyword Planner, which now resides in Google AdWords. Google Webmaster Tools is another free tool that most all SEO consultants use. It includes features such as Search Appearance (structured data, HTML improvements), Search Traffic (search queries, links), Google Index (index status, content keywords) and Crawl errors. Google Analytics is used quite often as well and concentrates more on issues of demographics, behavior and technology that searchers use to get to a site. All of the Google tools provide informative information. However, they provide a limited amount of statistics. In order to do more in-depth studies, tools focusing on detailed aspects such as linking and website URL analysis are necessary. Forecheck is unequaled as a website crawler. It’s a stand-alone program that analyzes sites of any size at extremely fast speeds. Even sites such as Microsoft can use Forecheck as an SEO analysis tool for studying all the URLs, including all languages and regions. 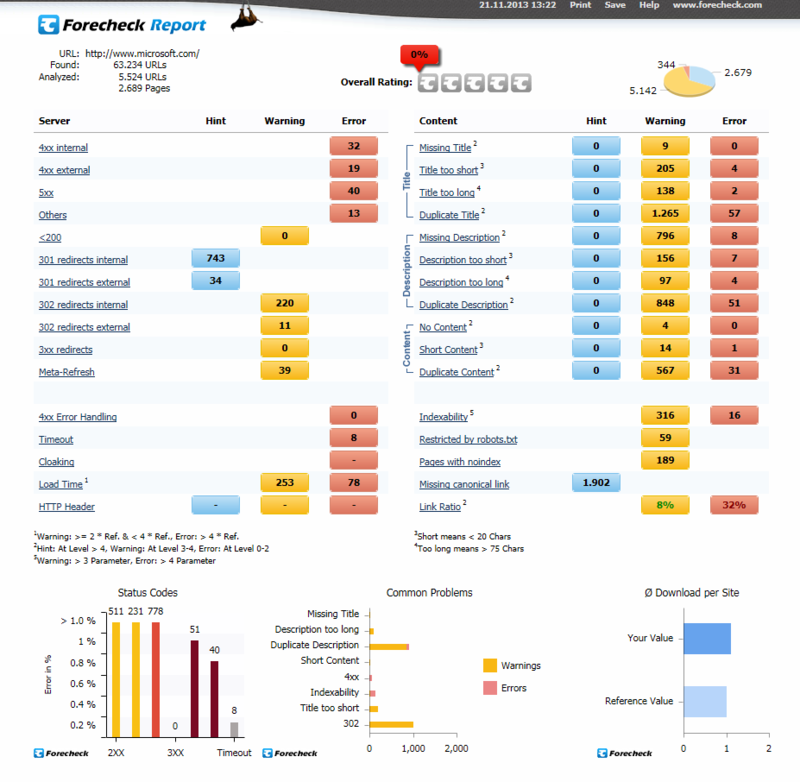 Forecheck provides information on most every aspect of a URL, and the reporting is incredibly useful. Other SEO analysis tools include one of our favorites, Ahrefs. This is a robust online tool that provides numerous linking features, including referring pages, domains, top referring TLDs (top level domains), anchors, backlinks and more. Ahrefs returns great looking graphs that are also easy to understand and a major benefit when providing clients with linking details. There are also a number of online tools that generate limited details on a variety of aspects such as keywords, competitors, domain effectiveness, links and limited website URL analysis. 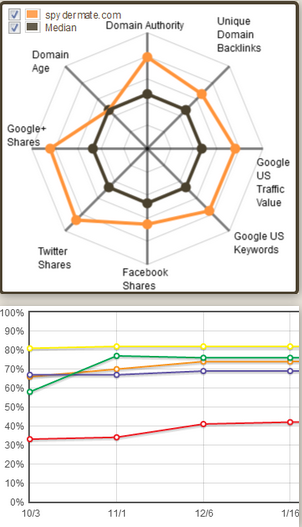 SpyderMate is a fantastic SEO analysis tool for creating a “bird’s eye view of a web site’s overall SEO effectiveness.” You can measure a site compared to competitor sites and gather valuable nuggets.